A successful business starts with a strong brand. And it is so much more than a logo! We understand branding as incorporating and nurturing a unique personality. For a service/product that generates affection – achieved by infusing a liberal dose of Conde creativity after our marketing team clinically develops your brand’s DNA. Together, we then build a brand that is memorable, likable – and absolutely credible. Creative and easy to remember names can create a significant impact upon your brand’s marketing and advertising footprint. When naming our client’s brand, we make good use of our multicultural/multilingual teams to ensure that a given brand name works well across languages and cultures. A well built brand is heard, seen . . . and sometimes felt and smelt. Creating more than just a striking graphic identity (logo), we always strive to infuse it with a unique character and personality that can better connect with your target audience. Your brand must first be communicated and embraced by your senior management and across all corporate levels. Only then is it ready to be effectively marketed. We work together with our clients to develop an efficient internal communication involving company executives and team members. The brand is now ready to communicate and to embrace the market, starting with the stakeholders and then extending to the consumer and the market in general. We love to re-energise our clients’ marketing communications, create fresh approaches and define a channel strategy for effective communication. In today’s fully connected society, well planned channel strategies undoubtedly make significant improvements to marketing budgets. Most of us live per a daily activity pattern. Some commute to work in the morning, while others stay at home, rush to school, or go shopping. Understanding the life nuances of specific audiences allows us to better communicate with them and address them when it’s most relevant. We all live our lives in a pattern of habits. Some like to eat breakfast at home, while others may take it to the office, while others eat in transit and others just skip it. By understanding the patterns of individual groups, we can better tailor-make communications that address the consumer’s needs. Any communication is more effective when met by a receptive mind. By understanding consumer behaviour patterns we can customise communication content that is more relevant – resulting in a more positive response. ‘Tell the story’ – an engaging mode that connects with people and generates response – is for us one of the most rewarding experiences. It all starts with the ‘idea’ – often enriched by our multi-cultured environment, where different perspectives reflect our team’s diverse background. Once the ‘idea’ is refined we develop draft copy and visuals. After all, good advertising does more than just communicate – it engages with society. People retain and recall stories. This is how most of us were raised, by listening to stories. When developing advertising campaigns, we focus on translating the message into a simple and engaging story. After all, this is how we engage consumers with brands. Research shows that audiences can better retain and recall singleminded advertising, where the message (even if complex) is distilled into a simple and easy to understand one. One message does not fit all media channels and this is where we take extra care in fully understand the channels and customise the advertising to maximise advertising efficiency. Implementing monitoring mechanisms on advertising campaigns allow us to measure the performance of the advertising. We can then analyse response and tweak the campaign to increase performance and ROI. After all a good advertising campaign generates tangible returns. One of the great advantages of digital channels is that they facilitate, in real time, a dialogue with consumers, with observable individual responses. We can then optimise and improve every aspect of the target audience’s interaction, from content and dialogue to look and feel. Digital channels are one-on-one communication avenues which demand clearly defined audiences. Just like when we speak to a group of people, the message and the way it is presented is tailored to this group. When we start developing a website, a social media page or an integrated campaign, we know we are communicating one-on-one with individuals, so our first job is to understand who they are – their social groups, habits, likes and dislikes as well as gender, age, location . . .
We create interactive maps and funnels with trigger points which enable us to quantify conversions. 3. What is in there for me? 3) What is in there for me? Creating enough reasons for your audience to visit your sites and to come back again and again. When landing on your website and digital channels, visitors look for relevant information, so we analyse the visitor experience, which starts by a simple but essential basic question: What’s in it for our visitors? Why should they be interested in visiting and revisiting us? We make use of tracking systems that allow us to ‘see’ in real time what is working and what needs tweaking. This is one of the best features of digital channels – the power to monitor real time. With the right tools and proper analysis we can assist our clients in making qualified decisions on how to improve and maximise response and engagement. Conde has managed a great number of unique design projects – ranging from exhibition design for tradeshows, roadshows and museums to signage and way-finding systems to product and packaging design. And more. We love challenges and actively seek opportunities to excel in creating new and innovative solutions. Not as a creative indulgence but as a marketing-oriented conclusion. We work with our clients to define user experiences – The intrinsic functionalities of the product and how these enhance consumer experience. Be it a cake box, a museum exhibit . . . or any other product designed for a unique customer experience. An essential part of the design process is to align with our client’s budget and production requirements. Possible production agreements with specific manufacturers require us to design with consideration of manufacturing criteria. The pop star: this process is the easiest . . . and the hardest! Here we set our imagination free but always have in mind the established marketing objectives. We always design for a purpose, thus our process embraces ergonomics, psychology, aesthetics and production guidelines. No design is complete until it is produced and experienced by the end-user. Our team ensures that all technical drawings and production model mock-ups (either digital or physical) are prepared. We then work together with manufacturing, ensuring that all details are met to create a quality product. We provide complete turnkey events for corporations, government and charity organisations as well as managing logistics solutions for major events and international cultural productions. 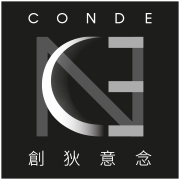 Eight years ago Conde established a specialist team for event management and event related logistics to support our clients in achieving high quality standards in their events. Whatever event you require – no matter how unusual – we invite you to challenge us to make it a reality! Most often events are a component of a wider branding exercise. Thus, we assist our clients in aligning events with other communication strategies implemented by the brand so that the event is an extension of the brand experience. Be it for their customers, team members or other stakeholders. Only an engaging and memorable event can leave a positive mark on its participants and attendees. So we work together with our clients in constructing an experience that is creative and memorable. Our event management team, in tandem with our creative team, arrives at creative and engaging solutions that work as a standalone experience and/or ‘big picture’ marketing exercise. The road to a successful event is prepared by efficient management and logistics. Many creative events fail through the lack of such preparation. We work closely with our clients and all involved to ensure that every aspect is properly managed. From the minute we take over a venue and set it up, our team is on the floor, managing every detail and liaising with the venue owner, AV team, production team and venue decoration personnel as well as with entertainment teams, MC’s, etc. During the event we supervise time flow and quickly address emerging situations. After the event, we manage the dismantling process, shipping and storage requirements. Markets, media and technologies are all rapidly evolving. Thus, strategies need to be continually analysed and improved – to take advantage of the advances in technology and better address the requirements and changing daily habits of individuals we connect with.